Ao no Exorcist a.k.a Blue Exorcist is about named Rin Okumura, who is a total hot-headed and ends up getting into fights a lot. Not only that, but he has a twin brother named Yukio and these two brothers don’t act alike, sound alike or even look-alike. What’s even more hilarious about this is that Rin is the older brother out of the pair, but no one believes them. 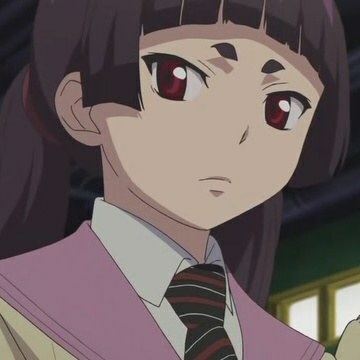 Yukio is the more mature and responsible twin with a job and goes a really famous school called True Cross Academy. On the other hand, Rin is the reckless twin who has no job goes to public high school. Now, your probably thinking that Rin is just a no good person with no heart but that isn’t the case. It turns out that when he gets into a fights, there is a good reason behind it. For example, he caught some guys shooting pigeons down with to a crossbow and wanted them to stop. So, I would say that Rin is a more misunderstood type of guy. Anyway, one day Rin gets attacked by a demon which chases him all the back to the church and that’s when his father ,Shiro, who is the head priest of the church tells him that he is the son of Satan and that he’s a half-demon. Shiro then gives him a sword that especially made for him, but he says he should never unsheathe it because then his demonic nature would come out. Of course, we all know that he’s going to do it anyway and help fight the demon off. After, that Satan possesses Shiro which ends up killing him. After that Director Mesphisto Pheles comes in who is an old friend of Shiro. He tells Rin that he should come to True Cross Academy, so he can live and learn how to become an exorcist, so he can defeat Satan and avenge his father’s death. This is a really good anime and its also a manga, too. It’s really funny and there are a lot of twists and turns everywhere in this. This anime really keeps you on your toes and I would recommend this to anyone who loves anime. Sorry, I couldn’t get too far into talking about the characters in this one. But, I’ll talk about them a little more next time.